A message from Loon Mountain Race directors Paul Kirsch & Chris Dunn. The Mountain Running community is such a great welcoming place. 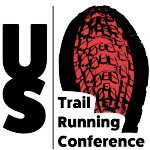 People of all ages and abilities compete in races, share the trails and enjoy the shared challenge of conquering a mountain or difficult section of trail. As both competitors and race directors we love the vibe and energy of the crowd. One thing we noticed though is, there always seemed to be more men than women at the races. So we did some research and found that the last time Loon hosted a National Championship, almost 70% of the competitors were men. We want to change that. To send a welcoming and encouraging message to the amazing women out there who might be considering giving a mountain race a try, we are offering a 50% discount to all first time female participants at the Loon Mountain Race. Why 50%? Because we want to see 50% of the field be women. To get this idea off the ground we reached out to Gina Lucrezi and TrailSisters.net and we’re partnering with them on the Trail Sisters Discount at Loon. 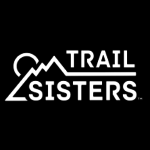 First time women not only get 50% off their entry fee but they also will get a discount on Trail Sisters gear at trailsisters.net. Gina has put together an amazing community at her site and we have fond memories of her competing in and winning the USATF-New England Mountain Running Circuit as well, so the partnership seemed perfect. Check out http://loonmountainrace.com/trail-sisters-discount/ for all of the details – and spread the word if you can. The Loon Mountain Race is a challenging 6.6 mile race with 3200′ of vertical climb. 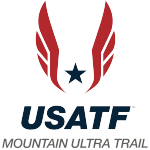 The Loon Mountain Race will also be the selection event for the 2018 US Mountain Running Team. Gina Lucrezi is a past member of the US Mountain Running Team and works for ATRA corporate member Vasque Trail Running. Find even more photos of the women’s race at Loon Mountain on Google Photos here.